The meaning of the word “library” has never been more ambiguous. When we can virtually carry library-sized collections of images, music, literature and reference data in our pockets, what are physical libraries but museums of a sort? Of course, from the point of view of librarians especially, this isn’t true in the least. Libraries are fortresses of free speech, public education, and “information literacy” at the community level. Rather than obsolete or secondary, they may be more necessary than ever. On a larger view both of these things are true. For millions of people, physical libraries have become secondary and will remain so, but they also remain community resources of paramount importance. 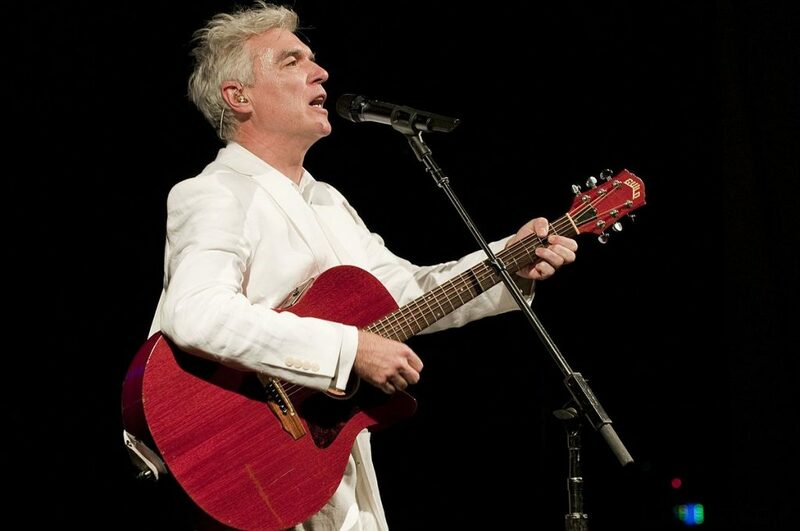 As Ted Mills posted here in the summer of 2015, Talking Heads frontman, “polymath and all-around swell person David Byrne" affirmed that latter status of the physical library when he leant out 250 books on music from his personal library to themselves be leant out at a library hosted by the 22nd annual Meltdown Festival and London’s Poetry Library. “I love a library,” wrote Byre in his own Guardian essay announcing the project. I grew up in suburban Baltimore and the suburbs were not a particularly cosmopolitan place. We were desperate to know what was going on in the cool places, and, given some suggestions and direction, the library was one place where that wider exciting world became available. In my little town, the library also had vinyl that one could check out and I discovered avant-garde composers such as Xenakis and Messiaen, folk music from various parts of the world and even some pop records that weren’t getting much radio play in Baltimore. It was truly a formative place. Having grown up in the DC suburbs in the years before the internet, I can relate, and would add the importance of local music stores and affordable all-age venues. But Byrne has never stayed tied to the media of his youth. During his several decades as a cultural critic and arts educator, he has made ecumenical use of mundane new technologies to interrogate the status of other older forms. One recent project, for example, consisted of a 96-page book and 20-minute DVD about his experiments in PowerPoint art. One of the questions raised by the project, writes Veronique Vienne, is whether the book is “an antiquated cultural artifact” in an age of hypervisualization. In the spirit of sharing information and championing libraries, Brain Pickings’ Maria Popova published a list of nearly all of the titles in Byrne’s lending library, with links to public library editions near you through WorldCat. Find the full list below, courtesy of David Byrne’s site, and see Brain Picking’s list and short essay here. Leant = “I leaned on something”. You mean “lent”.